Yesterday, the Supreme Court of the United States ruled that the Patient Protection and Affordable Care Act (ACA) does not violate the Constitution and should be upheld. Where does this leave Catholics in the national healthcare debate and in the midst of the Fortnight for Freedom? Well, from my reading at least, it leaves us where we have been in our support of rights of conscience and it leaves us hopeful that the HHS mandate (a component of ACA) can be rectified. It is important to sift through the political partisanship regarding this issue and remind ourselves that the U.S. Catholic Bishops and the Catholic Church has been supportive of the idea of comprehensive health care reform for close to a century, especially reform that would aid the poor and the most vulnerable in our society. The United States Conference of Catholic Bishops (USCCB) has not joined in efforts to repeal the Affordable Care Act in its entirety rather the bishops have chosen to focus on correcting three fundamental flaws that are found within the ACA. 1. Failure of the ACA to provide for adequate conscience protection (i.e. the HHS mandate). 2. The ACA allowing use of federal funds for abortion which contradicts longstanding federal policy. 3. The unfair treatment of immigrant workers and their families who are not allowed to purchase health care coverage under ACA. So, we remain where we have been and we will continue the work that needs to be done. 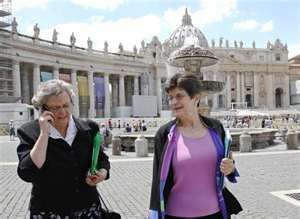 The lawsuits launched by the forty plus Catholic dioceses, hospitals, charity offices and universities will go forward. 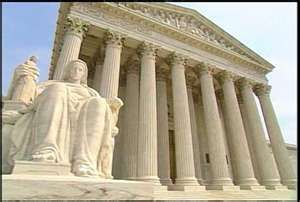 Finally, it is important to note that the Supreme Court ruling does not state that the Affordable Care Act is good law in itself; it just states that the Affordable Care Act does not violate the Constitution of the United States. The Supreme Court recognizes its role and its limits. It is up to others – politicians and the people who elect them – to make good law. The ongoing work of the USCCB in this regards and the Fortnight for Freedom are attempts to rouse the conscience of our nation to make and establish good law. These words from St. Gregory of Nyssa are helpful in the discerning of a vocation. Discernment of vocation, if it is to be authentic, must not just remain in ones thoughts but must be carried forth into words and action. From a treatise on Christian Perfection by Saint Gregory of Nyssa, bishop. For four years now I have been the primary caregiver for my mom. I have worked to get her settled into her independent living apartment. I have taken her to appointments with her doctors and I have run to the pharmacy for her medicine and to Wal-Mart for the finch socks she likes to hang outside on her porch. I have sat with her many Saturday nights watching Lawrence Welk and the British comedies that she loves. I have also made many trips to the emergency room in the middle of the night when she has struggled for breathe or has fallen. I have watched as her health has continued to ebb away bit by bit. My mother suffers from COPD brought on by a lifetime of smoking as well as severe arthritis in her back and a scarred artery attached to her heart. I do not fully understand all the complexities of her health situation but I know that all this together is something she can never really recover from and will only get worse over time. In the past two weeks things have gotten worse. It began with her falling. One such fall landed her in the ER with a cut on her head and the need to get staples. Not a week later she was back in the hospital due to severe pain. That hospital kept her for a few days and discharged her to a long-term health care facility. Not two days later, mom was back in the emergency room of a different hospital due to extreme pain. It is a hard thing to hear your eighty-four year old mother scream out in pain while powerless to do anything. After a series of tests it was determined that mom had some stones causing blockage in her bile duct. Due to the frailty of her health the doctors decided on a two-step process. For the first step they went in her side and inserted a valve in order to drain out the backed-up fluid. Today, for the second step they went in and dislodged the stones. This second procedure seems to have worked. Hopefully, mom will now begin to improve. As I reflect on these recent occurrences I have realized that there are some spiritual lessons to be found within the journey of these past two weeks. 1. The beauty of the Jesus Prayer. A number of nights my mother was in severe pain. She had taken some medicine but the pain remained. As a way to ease the pain and also help her breathing we began to say the Jesus Prayer together. Breathing in we would say, “Lord Jesus Christ, Son of God…” and breathing out we would say, “…have mercy on me a sinner.” This prayer helped to ease her pain and her fear while also helping to ease her into slumber. The prayer helped to ease my own heart also. One night I continued the prayer for her in her dark room for a good while after she had drifted off. Later when the pain had intensified mom shifted the prayer to, “Thank you Jesus. I love you.” I found this shift to be very meaningful. 2. The beauty of human touch. In the moments of mom’s intense pain one thing that seemed to help ease her was human touch. Whether it was holding hands, rubbing her back or stroking her hair these simple acts brought some needed ease to mom. In the midst of her pain I noticed that mom kept reaching out to grasp the hands of others. There is a comforting power and grace in human touch. 3. The beauty of trusting God. These family emergencies never arrive at a good time. When mom entered the hospital for the second time I was scheduled to attend a national campus ministry conference for which I was part of the presenting team. It worked out that my oldest brother was able to arrange to come home for the week to stay with my mother yet I was still torn in the thought of leaving at such a time. The comment of a friend helped to ease my heart. “Your brother needs this time with your mother.” was what she said. God’s ways are not our ways and God’s Spirit moves as he so chooses. This comment helped me to realize that God is here in the very uncertainty of this situation for my mother, for me and also for my brother. It is important to let God be God and also to let God be God for others as he so chooses and as they need. Sometimes it is just not about me. 4. The beauty of Church. Throughout this experience the beauty and value of Church has been on full display. Prayers being offered from all over the diocese and around the nation … priest friends calling to offer support and visiting my mother … parishioners offering advise and support … parish nurses providing invaluable service and advice … doctors and health-care professionals who happen to be Catholic taking an extra care for mom. Church has been present throughout and has been a great witness to my brothers and I. Church is at its best in moments of pain and comfort and we have seen this. The journey is not over but it is comforting to know that it is never walked alone and God is present. Karl Rahner is credited with stating that today when it comes to Christianity one is either a mystic or a nonbeliever. Gone are the days when one could coast through on being a christian by living in a culture that was, at least, christian in name. Today our society is more agnostic, more secular, more pluralistic and much more distracting. This is just the way it is – for good and for woe. One can no longer get by as a christian by running on the fumes of others. Our culture and even our communities and families no longer carry the faith for us. If we are to be christian then we must carry the faith on our own. In other words, we must be willing to be mystics. Rahner’s observation then raises the question, “How might we learn to be mystics? How might we truly grasp and live the christian faith in our particular day and time?” I would suggest that both our faith tradition and this Sunday’s readings give us three points of consideration. The first point in Christian Mysticism 101 is to learn how to ponder in the Scriptural and Hebraic sense of the term. In our western pragmatic mindset we tend to equate pondering with figuring out and solving. The Scriptural understanding is more nuanced though. In Hebrew thought to ponder does not mean to figure out but to be able to hold the tensions of life together and to remain within that tension in hope and in obedience. The primary witness of this ability to ponder on the mysteries of life and faith is Mary. Mary pondered at the words of the archangel Gabriel. When Mary, Joseph and the twelve year old Jesus were returning from their visit to Jerusalem we are told that Mary held all that had occurred and been spoken in her heart. Mary remained at the foot of the cross in the midst of pain and hurt. She held that tension in her heart. There is a mystery to life and to faith that is beyond our reckoning and our ability. This is not a lazy excuse on our part. We certainly have a part to play but the primary role is God’s. The mystic learns to watch in awe at God’s unfolding work. God is building his kingdom and despite any sign to the contrary it will be achieved. Holding the tensions of life opens our eyes to glimpse this and it also makes of us better people. Once again, the christian mystic learns to trust that God is at work even in the smallest of moments, occurrences and encounters. The mystic learns that there really is no such thing as coincidence. Rather all is providence. The third lesson is to trust and believe in a personal God. This might seem commonsense when we consider Christianity but it may not be as common nor as sensible in many peoples eyes (ourselves included) as we often suppose. Why? Because a personal God will make personal demands upon me. Even as we might profess Christianity we are quite inventive about keeping the Christian faith a bit removed as just a moral code or social justice doctrine or good principles to aspire to. We are also quite adept at keeping Jesus locked in as just another teacher or guru from the past. The mystic is far from comfortable with this comfortable approach to faith and discipleship. Because of this he or she will often feel alone and out of step with the world and even others who may profess Christianity. The mystic knows of what is written in today’s second reading (2 Cor. 5:6-10) because he or she is seeking by God’s grace to live it. The depth and challenge of this aspiration to please God can only come about and be achieved through a relationship with a personal God. God as a nice theory or life philosophy does not cut it. God encounters us (and often in the most surprising of places and situations). The mystic comes to recognize this. It is no longer enough to just coast in the Christian faith. One might try but when the bitter winds of pain, remorse, sin and even evil are encountered such a one will be lost. The stopgaps are gone. Again, for better or for woe, there are no longer the social structures to blunt the wind. Today, to be a christian means to be a mystic and to ground ourselves within a community of mystics. I love how the Catholic Church transcends the stale dichotomies of partisan politics. The first article is on the U.S. Bishops’ endorsement of President Obama’s recent action regarding the Dream Act. The second article is on the Catholic Health Association’s rejection of the HHS mandate compromise. Both the statement from the U.S. Bishops Conference and the Catholic Health Association were issued on the same day. One of the statements that struck me and that I think also allowed for this balanced and respectful approach toward a very complicated issue was when one commentator stated that in regards to Church issues we need to avoid the temptation of thinking in exclusive political terms which tend to divide and separate. He went on to remind all who were listening that the Church itself does not think in such terms. The Vatican/LCWR dialogue is not about men vs. women nor liberal vs. conservative. It is a disservice to reduce what is occurring to those stale dichotomies. This tendency to do so also demonstrates a lack of understanding about the reality of church. Life and Church are both more than politics. Sometimes how we view things says more about our own perspectives and biases than it does about the reality of the situation itself. Maybe people can only see this exchange in political terms not because that is actually what is occurring but because that is how they have chosen to structure (and limit) their own view of reality. I would say that this dialogue is about the Church reflecting on what it means to be authentically Church. In the Catholic Church the Magisterium has a specific role and raising doctrinal concerns is within that role. In the Catholic Church the Leadership Conference of Women Religious also has a role and purpose as a canonically recognized entity. But it must be noted that this role and purpose does not put it beyond what it means to be Church in the Catholic sense. This is what is at issue and from what I have read of the ongoing discussion I believe that both sides are sincere in their desire to authentically dialogue and be brought to greater understanding. Maybe I am demonstrating my own naive bias here but I believe that the Spirit is at work in this and I think one of the by-products of this discussion between the Vatican and the LCWR could very well be a witness being given to a very polarized and divided society that dialogue and respect is possible. Mature people can talk to one another while holding to their core convictions and through this exchange be brought to a greater understanding by the movement of the Holy Spirit. This is what it means to be Church. Let the secular media and society (very much formed in and fond of the political worldview) keep watching this. What they witness might very well come to surprise them. In my ministry I have been a chaplain to a high school and now a chaplain at a university Newman Center, so I have attended more graduation commencements than I care to remember. 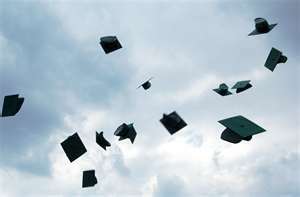 Usually I have already forgotten the commencement speech five minutes after it has been given. This speech is different. I can honestly say that I would place this speech on the very, very short list of commencement speeches that I enjoyed, agreed with and will actually remember anything from. Thank you Mr. McCullough for your words! For this Feast of the Most Holy Body and Blood of Christ I have found myself meditating on two images. One is Caravaggio’s painting, Road to Emmaus, and the second is a black and white photograph of a Mass being conducted in the underground Catholic Church in China. 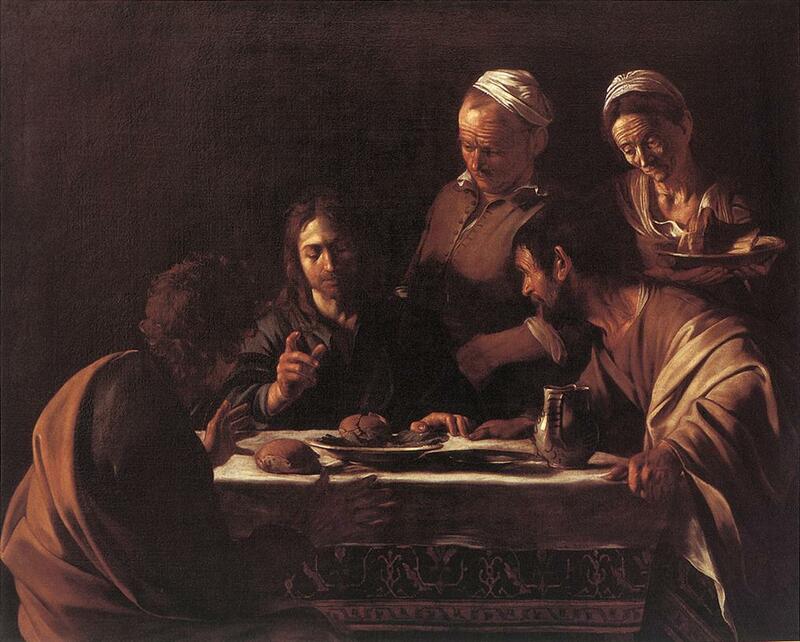 In the Caravaggio painting Christ is seated at table with the two disciples while an innkeeper and wife (I suppose) look on. Outside of the figures and the table scene the rest of the image is black and in shadows. A light shines from the left illuminating the scene. Half of Christ’s face is in shadow. 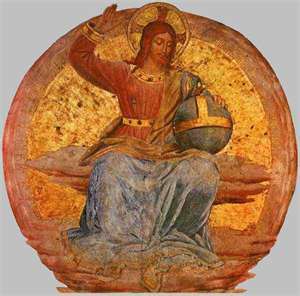 The Lord’s right hand is raised in a symbol of blessing over the bread and his eyes are downcast. One disciples grips the table as if stunned and the other disciple (whose back is turned toward us) raises his hands in shocked amazement. Caravaggio has captured the moment of recognition when the risen Lord reveals himself to the two disciples in the breaking of the bread! Outside of this the innkeeper and his wife look on as if there is nothing out of the ordinary and this I find fascinating. Here is the risen Lord revealing himself in the breaking of the bread to the two disciples yet without the eyes of faith to recognize what is transpiring it seems that there is nothing extraordinary occurring. In fact, it is the most ordinary of scenes. Why did the risen Lord choose something so ordinary, so mundane in order to communicate and give himself to us? In the first reading for this feast (Ex. 24:3-8) we have the scene of Moses erecting an altar and holocausts being offered and the blood of bulls being sprinkled. This is far from ordinary! In the second reading (Hebrews 9:11-15) we have a reflection on Christ as the High Priest who reconciles us to God and one another through his own blood. Again, far from ordinary. In the gospel (Mark 14:12-16, 22-26) we have the scene of the Last Supper – Jesus blessing and giving the bread and giving the cup while saying, “This is my body … This is my blood …” Apart from those most important of words the scene itself is very ordinary (a teacher and his disciples sharing a meal). The gift of faith makes all the difference. Without faith it just seems so ordinary, not even really being worthy of notice. With faith our hands grip the table in stunned amazement! 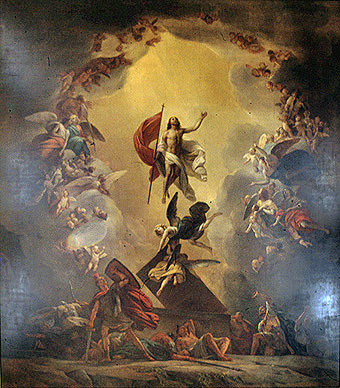 In this most ordinary of scenes the risen Lord is present and God bestows his very life upon us! 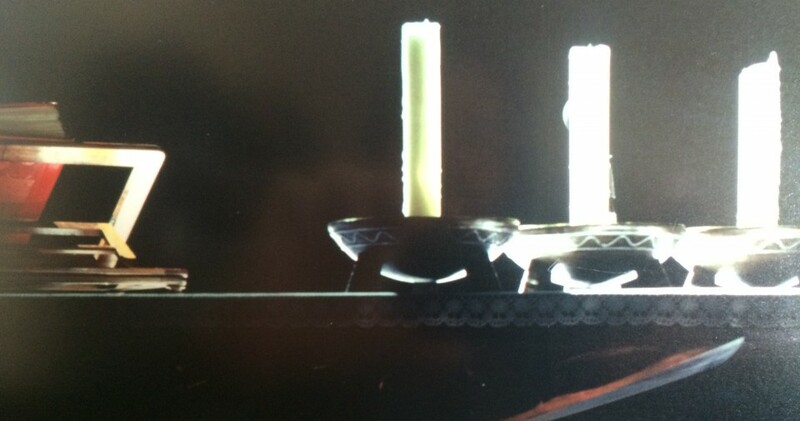 The second image is also surrounded by shadow and darkness. Again the eyes of the faithful are turned toward a set point. Again, in many ways, the scene is very ordinary. It is a house in China. The people are attired in clothes that we are familiar with. 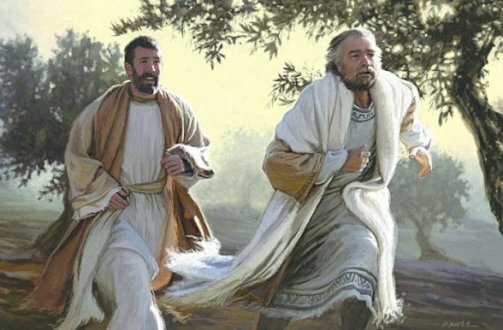 Yet, from the road to Emmaus it is now two thousand years later and on the other side of the world. 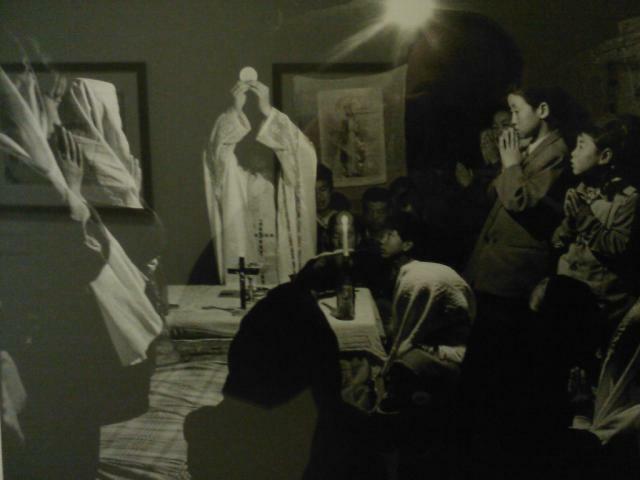 The Mass is being offered in the persecuted and underground Catholic Church in China. The priest elevates the host. His face is hidden behind his arms. Again Christ reveals himself in the breaking of the bread! Christ has chosen to reveal and give of himself in the ordinary occurrence of bread and wine. Without faith it is seems to be nothing of much value; with faith it is recognized as the very Body and Blood of Christ – the answer given to the deepest hunger, thirst and yearning of the human heart. On this Feast of the Most Holy Trinity I am reminded of a principle that I learned during my studies in seminary. The principle is that the term “mystery” in the Christian sense does not mean a puzzle to be figured out nor a problem to be solved but rather a reality to be lived and it is in the living that we are brought to a greater and more sublime understanding. The Trinity is indeed the greatest of all mysteries. A mystery that we could never arrive at on our own. It is impossible for us to grasp. 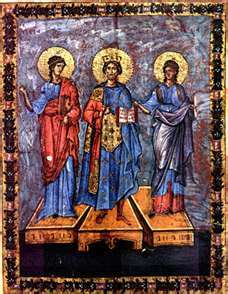 The Trinity is a mystery that could only be unveiled by God himself. It is the mystery that God is a communion of persons united in an eternal exchange of love. It is only through the Spirit of adoption that we are brought to this truth. Scripture tells us that God is love and whoever abides in love abides in God. For love to be authentic it must be concrete. It must be lived. It does no one any good for one to say, “I love you.” but then not live according to that love which primarily means sacrificing for the good of the other. Ronald Rolheiser in his book The Holy Longing writes that the love which is the Trinity, which is God “is not ‘falling in love,’ but (rather) family, shared existence.” Anyone can “fall in love” (it happens all the time) but it is only the mature person who can live shared existence and, paradoxically, it is living shared existence which matures us. Here, I want to emphasize that yes, “family” refers to biological family but it even more so refers to the spiritual family of the Church into which we are born through our baptisms. Paul writes in his letter to the Romans, The Spirit himself bears witness with our spirit that we are children of God, and if children, then heirs, heirs of God and joint heirs with Christ, if only we suffer with him so that we may also be glorified with him. To try to achieve an authentic Christian life without the shared existence which is church is a cheap grace that only leads to shallow belief. Church is not a gathering of like-minded individuals nor a philosophical debate club nor a place where “everyone gets along” nor a wing of any particular political party. Church is the disparity of peoples, nations, dispositions and temperaments, economic class and languages that are gathered into unity by the Holy Spirit. What unites us most fundamentally is the Lord in our midst and our being gathered by the Spirit. This is “catholic” in the truest sense and it is most often and immediately witnessed in that gathering with people that in all honesty we would probably not associate with were it not for our worship in the Sunday Mass. Yes, the Church is flawed (as is every other institution or government known to humankind) but Christ loves the Church so much so that he has poured out his Spirit upon her. To reject the Church is to reject that which Christ himself loves. As he sent those first eleven disciples into the world to baptize in the name of the Trinity our risen Lord said, I am with you always, until the end of the age. Do we hold this to be true? It is not from the ground up that the Church is established and grows. The Church is not the creation of our own effort. Again, if this were so, Church would be at best just a gathering of like-minded people or a people formed through a common mission or goal. Rather, the Church comes from on high, from heaven. The Church is born from the community of the Trinity which is God. 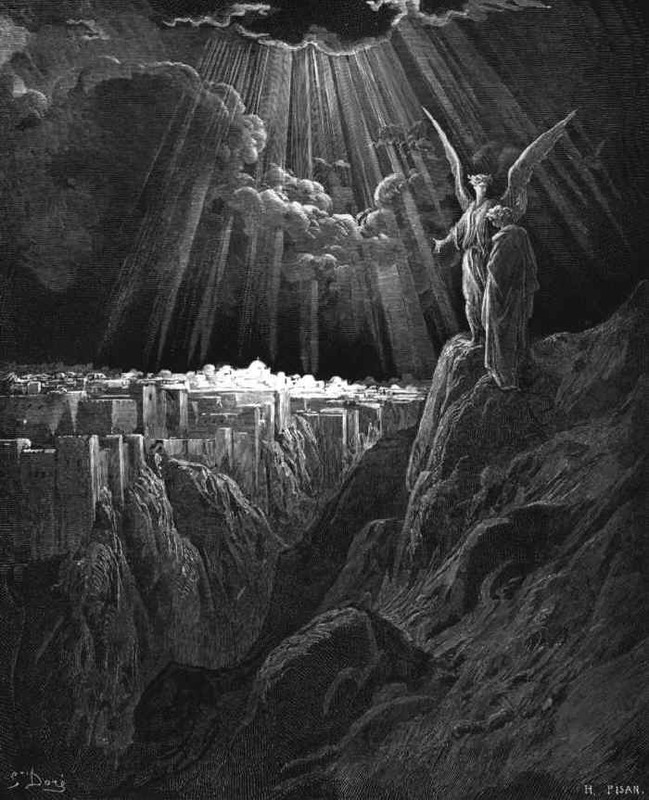 In the second verse of the twenty-first chapter of the Book of Revelation we are given this vision, And I saw the holy city, new Jerusalem, coming down out of heaven, from God, prepared as a bride adorned for her husband… Why does the holy city come down out of heaven? Because the Church is born from God rather than being made by us. Church, therefore, is also mystery and it also is only understood when it is lived. Church is the family, the graced shared existence that leads us into the very mystery of God. God is love and therefore to know God means to love authentically – not just in word but in deed. So, if we want to know what it means when we say that God is a trinity of persons and if we want to even experience that deepest of realities in our own lives then the best place to start is in loving one another and in embracing the mystery which is Church.